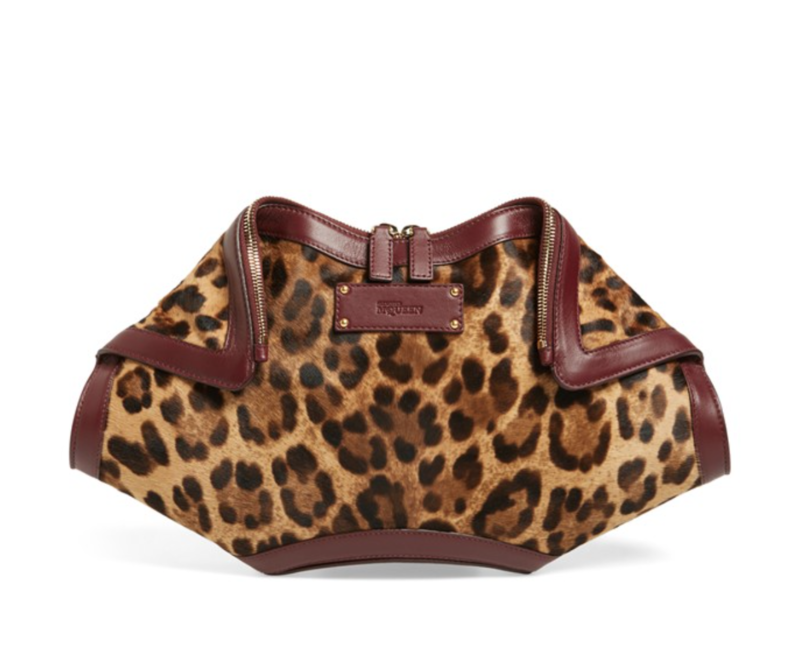 Rich, color-saturated leather trim illuminates the angular lines of an iconic McQueen clutch updated in lush leopard-spotted calf hair. Two-way top-zip closure; hidden-magnetic closures. 15 ¼”W x 8 ¼”H x 2″D.